Reflective of fall’s most vibrant colors, our designers have created this special Celebration of Fall Gift Arrangement! 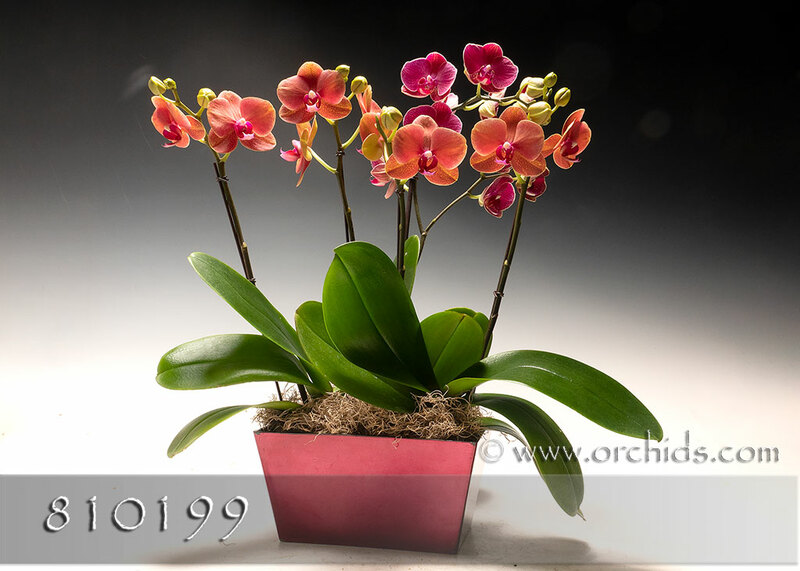 Overflowing with an abundance bright yellow sweetheart Phalaenopsis, its flowers heavily overlaid with red stripes and exploding on gently cascading spikes, this arrangement is a charming entre to the magnificence of fall. Needing no further adornment, your vibrant arrangement will be artistically presented in our rectangular Euro cachepot, standing 16-18” in height, and finished with a fluffy bed of jade Spanish moss.